Discord is a free text and voice-based social software directed towards gamers. 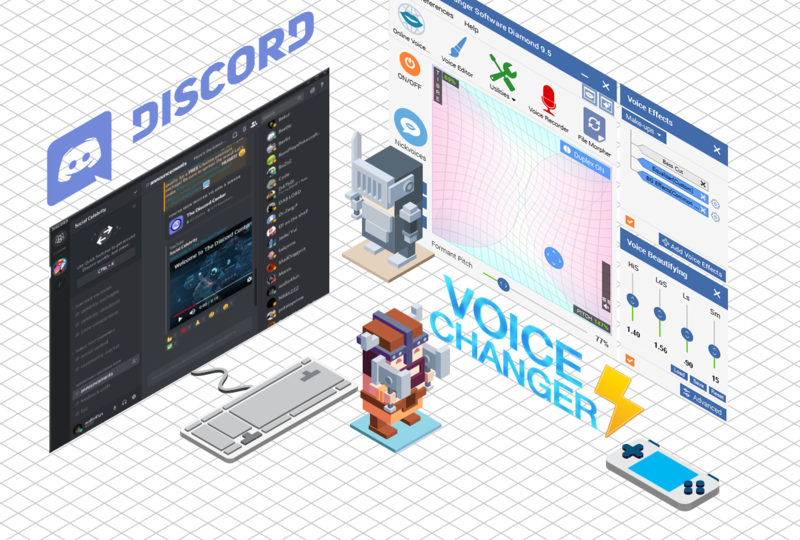 With over 45 million users and counting, Discord continues to grow and has many updates and awesome features. 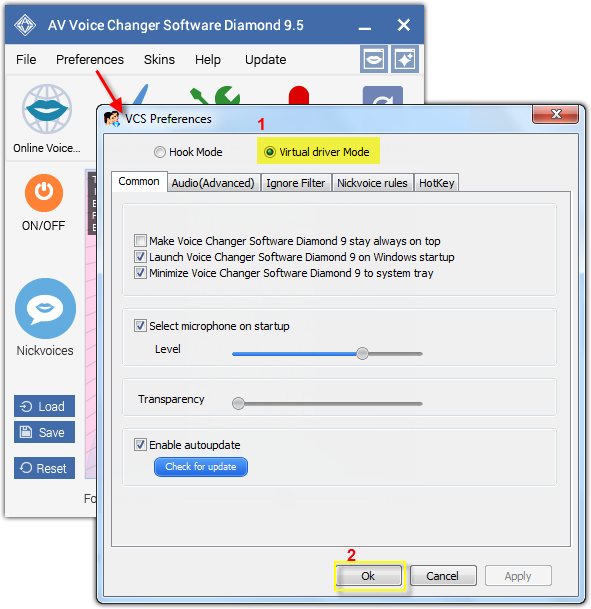 Isn’t it great news that AV Voice Changer Software Diamond 9.5 (VCSD 9.5) is totally compatible with Discord so that you can communicate with your fellow players in any voice you like? 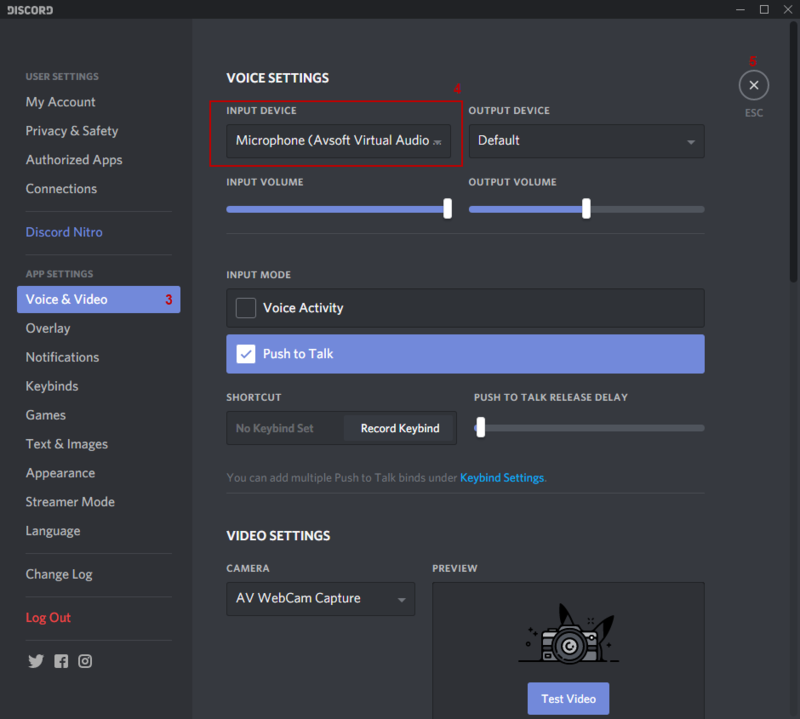 Read on for how to configure Discord voice changer. - On main panel, choose Preferences menu to open VCS Preferences window. - When VCS Preferences window appears, choose Virtual driver Mode radio button (1). - Click OK button (2) to apply the new setting and close Preferences window. 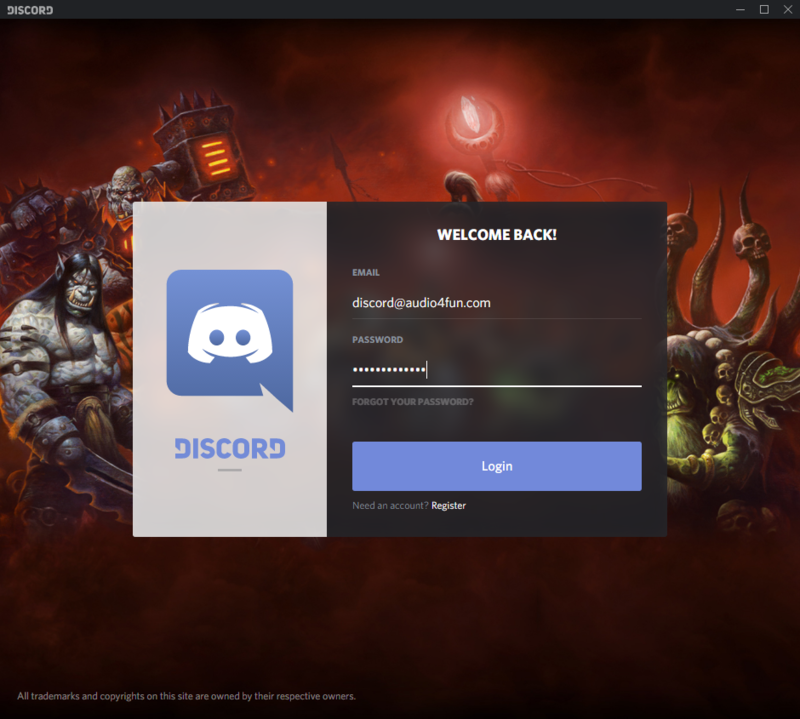 - Launch Discord » Log into your account. 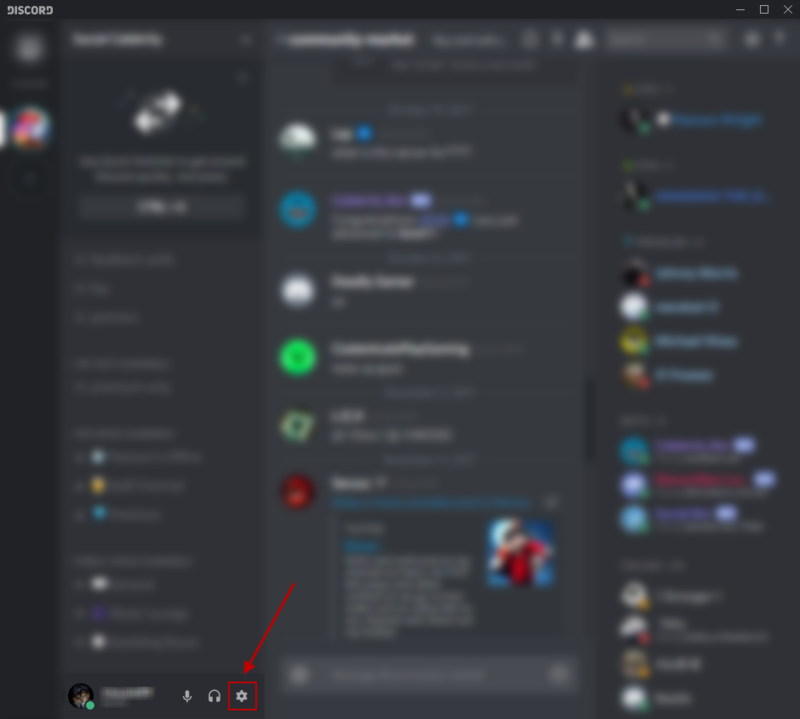 - In Discord’s main panel, choose User Settings. - In Settings window, choose Voice & Video (3) » Select Microphone (Avsoft Virtual Audio Device) as the Input Device (4). - Click Close (5) or use the Esc key to close the window. From now on, VCSD 9.5 will serve as the main microphone in Discord and your voice will be auto morphed. All settings are done. Now you can start a new voice chat with your friends on Discord. Have fun!